Hungary’s Viktor Orbán has been characterized as one of the many ‘Strong Man’, right-wing populist politicians who has recently gained power (sound familiar?). While hindsight is twenty-twenty, there is a lot to be learned from modern economic history in light of the recent rise of far-right populist groups across the globe. 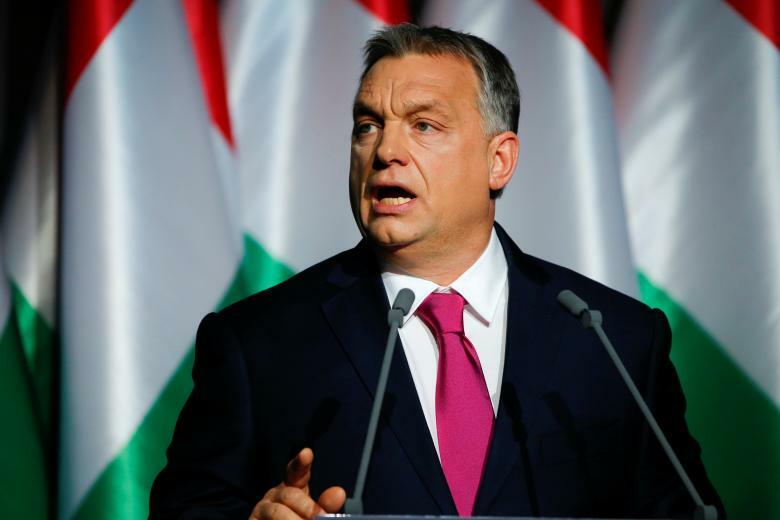 The rise of populism in Hungary, the US, and elsewhere is a reaction to the faults of neoliberalism, which have been appropriated by politicians, such as Mr. Orbán, in order to consolidate power. Critiques of the neoliberal order are nothing new. Neoliberalism is explained as a “new social order” in which the state intervenes less in development and welfare, and financial institutions become influential centers of capital accumulation via extraction from peripheries. Neoliberal theory assumes that economies automatically adjust, and that government interference distorts the market’s efficient allocation of resources. This protects the increasingly powerful financial elite, and provides a justification for less government regulation. What this results in is free trade agreements without strong wage or labor protections that allows big businesses to keep wages low, even as worker productivity is increasing. This was also the context of the lack of regulation of big banks before the 2008 housing market bubble burst – which was paid for on the taxpayer’s dime, while financial executives gave themselves bonuses for a job well done. However, as neoliberal promises of growth and development continually fall through, discontent has grown in communities that took the hardest beatings in terms of divestment. From the hollowing out of the rust-belt cities in the US to the mass emigration of workers from Hungary to Western Europe, these divestments are felt globally. As a result, populist politicians are gaining traction with the electorate. Populism seems to express a desire to take back state sovereignty from the hands of neoliberal institutions, whether they be the IMF, EU, or NAFTA– and it’s on the rise. Yet we see anything but a collective, unified reaction. Politics are more polarized than ever. Robert Reich identifies two types of populism between which the masses are choosing: authoritarian and progressive. The polarization of progressive and authoritarian populism comes from different interpretations of the cause of these divestments. In the US, he characterizes Trump and Sanders as the respective faces of the split. In Hungary, these are Orbán’s Fidesz and the satirical Two-Tailed Dog party. Orbán uses the term “lords of global politics” to describe what the alt-right news source Breitbart calls “the globalist establishment”. This is an appropriation of two terms, “globalization” and “establishment”, both of which are already politically charged. This union of terms is useful to the far-right because it moves the blame from the neoliberal policies themselves onto internal communities who are tied to globalization (like refugees). However, though neoliberalism and globalization are terms that are often used interchangeably, they differ greatly. Neoliberalism describes a new relationship between finance and state, favoring and empowering the former over the latter. Globalization, however, simply describes increased internationalization. Yet because globalization is a major feature of contemporary neoliberalism, the two are frequently misconstrued as one and the same. For example, increased economic globalization does not have to entail free-trade agreements that allow for the exploitation of low-wage labor, yet is often characterized as such. In short, these buzzwords resonate with voters, but for the wrong reasons. This transforms the neoliberal struggle between the lower and middle classes and the wealthy elite into a struggle between countries – it turns the politics of wealth inequality into the politics of identity. Politicians have been using this conflation to their advantage, at great social cost. Leaders exploit the resulting political division to consolidate power. As seen in both Hungary and America, characteristics like country of origin, ethnicity, and religion have been used to identify scapegoats for the economic problems caused by neoliberalism. Both Orbán and Trump seem to be fans of fences and walls; Orbán has also used these tensions to justify illiberal policies, like his crackdown on NGOs and the closure of Nepszabadsag, a progressive newspaper in Budapest. This isn’t so different from the firing of Attorney General Sally Yates, the so-called ‘Muslim Ban’, or the censorship of federally-funded scientific research on climate change. In the words of political scientist Bartlomiej Nowak, “Populism usually offers simple solutions to complicated problems.” The human psyche enjoys the simplicity of ‘us versus them’. And this has its own issues; as progressives alienate their conservative counterparts by denouncing them as ‘fascists, racists, and sexists’, to name a few, they play into the hand of the authoritarian regime, which uses divisive politics as justifications to crackdown on civil liberties and allows its supporters to consider themselves victims of an increasingly intolerant left. We should not forget that these people more often than not – confusing their very real economic problems at home with the irrelevant identify politics they have become associated with– are not the fascists they are called. Now, more than ever, it seems we have all fallen into the trap of divisive politics that guarantee the success of an increasingly-authoritarian government. These exclusionary narratives are rationalized by governments as the solution to the problems of neoliberal economics, as politicians can more easily blame other countries and groups of people than single-handedly tackle the flaws of neoliberal institutions themselves. It is unfortunate that American backlash against NAFTA blamed Mexican workers instead of the lack of labor rights protections in the agreement due to pressure from the corporate elite. It is unfortunate that in Hungary, refugees are portrayed as taking jobs that Hungarians need, when the larger issue is in fact a severe labor shortage. Politicians need to stop taking advantage of a frustrated population and misleading them to believe that such complicated issues inherent within the neoliberal order can be solved on an ethnic, religious, or national basis. Building a wall will not keep out the financial elite, unfortunately for both Mr. Orbán and Mr. Trump.